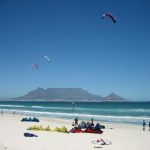 Cape Town is one of the most vibrant and exciting destinations in the world. During the daylight hours sun and sea dominate the activities available to visitors – but once the sun sets over the Atlantic Ocean the city shows its wild side with some of the best nightclubs in the world. 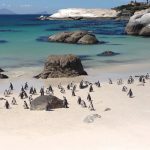 Whether you want a more sedate experience or want to get your groove on, the ‘Mother City’ – as South African’s call Cape Town has a night time attraction that will provide hours of fun for everyone. 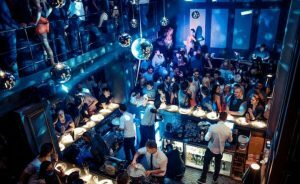 So what are the best nightclubs in the city? Here are some fantastic choices. 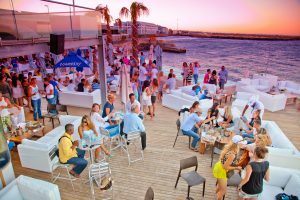 #1 The Shimmy Beach Club. Cape Town’s vibrant V&A Waterfront plays host to this great music and dance venue. Adding to the attractions of Shimmy revellers get to try out the latest dance moves with sand underfoot. Two bars, an infinity pool and a fabulous VIP area all make this one of the most chilled dance experiences in the Mother City. Action starts in the mid-afternoon and continue to the break of dawn the next day – if you want to enjoy the energy of Cape Town in a great outdoor venue this is the place for you. 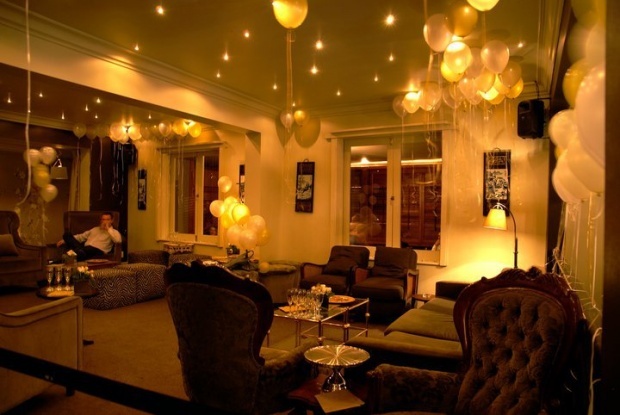 In Cape Town’s pulsating city centre this is a venue that can accommodate local and international big bands as well as play host to more intimate gatherings. A low, low cover charge and some fabulous drinks specials make this a crowd-pleasing venue. Well known, as well as up and coming DJ’s stake their claim to fame at The Assembly so it’s a fabulous place to enjoy both mellow and frantic sounds until the sun comes up. Another city centre location that has refined the art of getting fans to throw off their inhibitions and party like there’s no tomorrow COCO has built its reputation on pure class. This is an upmarket choice for those is search of top shelf drink brands and a huge diversity of music. From the cool and relaxed to niche tempos like West African and hip-hop choosing a night at COCO is balm for the tired soul. Try to get on the guest list or book a table for an outrageously upper-class experience. #4 The Jade Lounge And Champagne Bar. This is a smaller venue with a great big heart and oodles of charm – combined with a distinctly upper-crust atmosphere. Located in trendy and laid back Green Point it’s the perfect stop after dinner at the adjacent V&A Waterfront. Come dressed to the nines and mingle with Cape Town’s smart set. Don’t bother to arrive if you’re under 23 and don’t enjoy the laid back sounds of rhythm and blues on Thursdays (the big night) and Sundays. Another intimate venue this is great for those who want to get that up close and personal experience. With an ambience that makes you feel right at home Julep is great for those in search of some of the city’s most innovative cocktails. Music ranges from funk to R&B and innovative DJ’s make sure that patrons keep on bopping till the early hours. 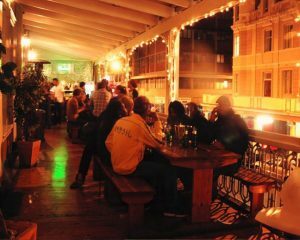 One of the most popular nightclubs in Cape Town this is a relaxed and funky night out for the younger set – including students and those just starting to climb the corporate ladder to success. 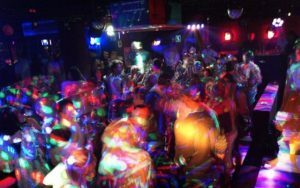 With two dance floors and great deals on drinks (such as the popular two for one deal). The dress code varies from casual to semi-casual depending on the night. Free Friday entrance makes the joint really jump. 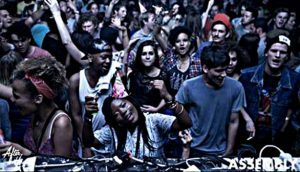 Cape Town nightlife is vibrant and the choice is almost as varied as the clientele. If you can’t find something to suit your needs you’re probably not looking hard enough.